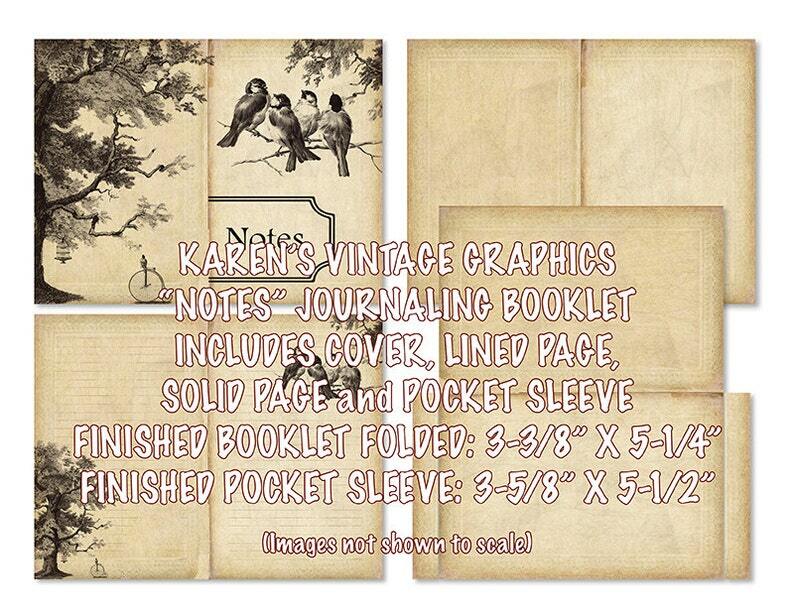 The “Notes” Journaling Booklet complements the "Feathers and Friends" Printable Journal Kit, measuring 3-3/8” x 5-1/4” when finished. Record your thoughts about special occasions in your life, send as a memento to loved ones or gift them to pen pals and others. The pocket sleeve for the booklet is ideal for adding your finishing touches with heat embossing, stamping and mixed media.